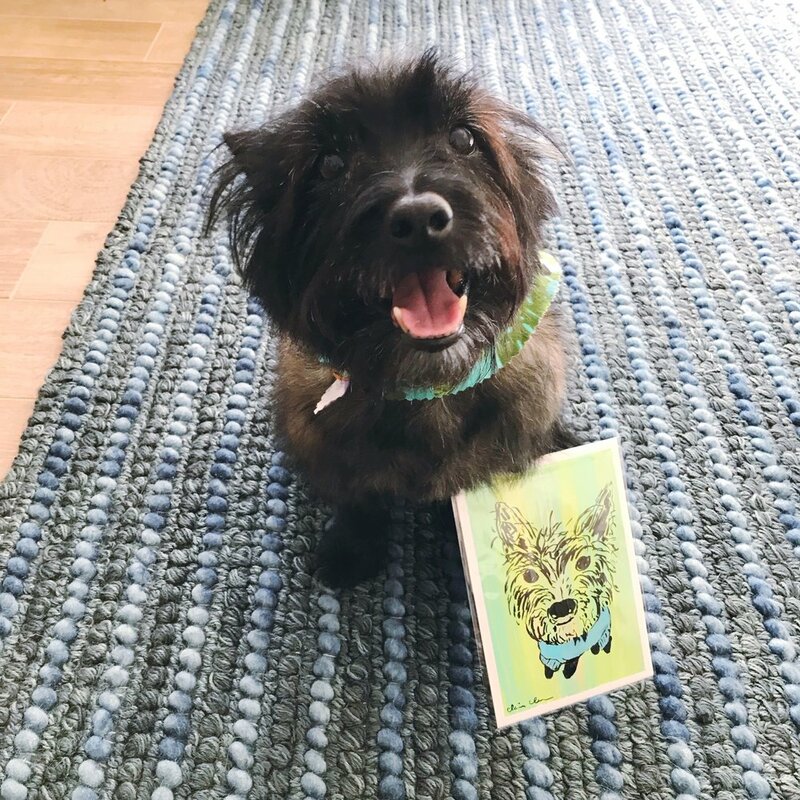 Katsu got a cute little portrait done by Claire of Chickenpants through her fun #paintmechickenpants project! Making things work with what we've got. :) Since Brandon will be moving to SF at the end of this month, he wanted to make sure my office was usable again. He took down the built in cabinets (left photo) and set up our computers on that side of the room (right photo). It's still a work in progress, obviously, but it's already looking better. 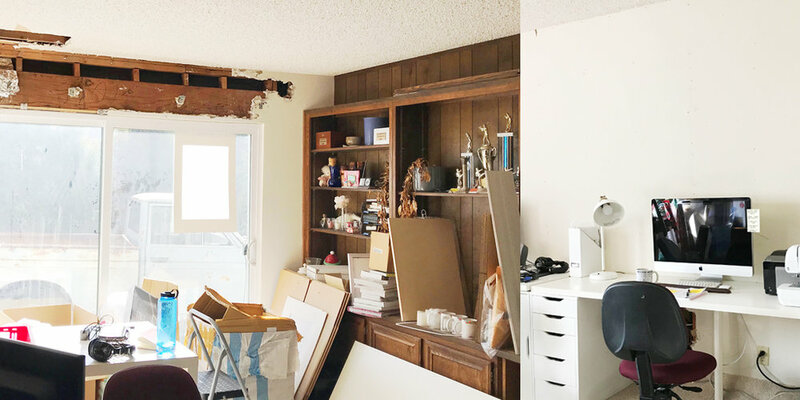 Note: Last year was a year of water issues... a pipe burst (hole in ceiling), the wall cried whenever it rained (hole above sliding doors) and another pipe leak (hole under desk in right photo). Those are fixed but it seems our water issues are continuing. >_< Hoping our luck with water will get better soon! It's going to be a busy January!